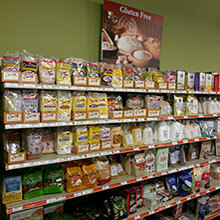 Mill Creek General Store – A specialty store in Mount Airy, NC, providing healthier food choices. 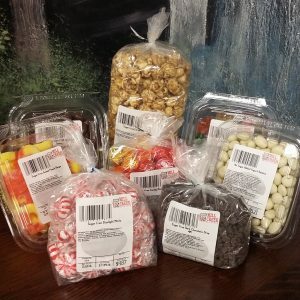 Welcome to Mill Creek General Store – Voted “Best Deli” & “Best Natural Foods” in 2018, “Best Sandwiches” in 2016, and “Best Health Food Store” & “Best Snack Food Store” in 2015 & 2014!! 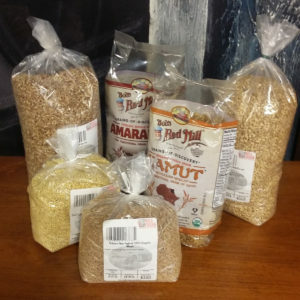 We are a family-owned business that specializes in healthy, whole food options including Amish meats and cheeses, gluten-free flours and foods, non-GMO foods, locally grown and produced goods, whole grains, freshly baked breads, specialty baking and candy supplies, all in bulk packaging at reasonable prices. 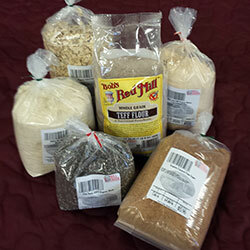 Check out our Mill Creek Pointy Store listing for a full representation of the variety of products we offer. 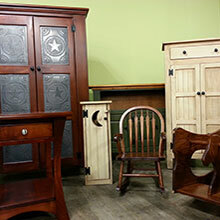 We also offer, hand-crafted, high-quality, Amish made furniture available in custom sizes, and we can ship anywhere! 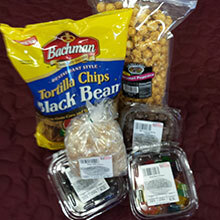 Mill Creek General Store is a solution to a void in Mt. Airy’s shopping options. We provide a variety of quality goods, giving the customer flexibility and choice that the “clubs” can’t provide. The customer can expect bulk pricing (sometimes greater than 50% savings) without the requirement of purchasing a huge quantity of the same product. 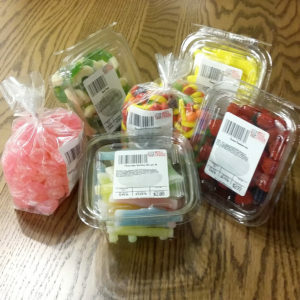 And we can customize packaging if YOU need it. While you wait, you may also shop our wide selection which includes a ginormous selection of chocolates and nuts, a large selection of organic products, a large health and beauty section, many sugar-free items, whole food and gluten-free selections, non-GMO foods, locally grown and produced goods, whole grains, freshly baked items, specialty baking and candy supplies, many offered in bulk packaging at reasonable prices. 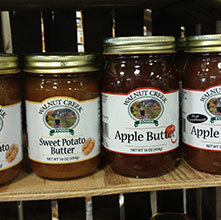 Mill Creek also offers unique gift ideas and products for your home: RADA cutlery, handmade rugs and table accents, home interior décor, novelty items, Amish handcrafted leather items, Farm-to-Feet socks, as well as hand-crafted, high-quality, American made Amish furniture which can be ordered in custom sizes. We can ship anywhere! 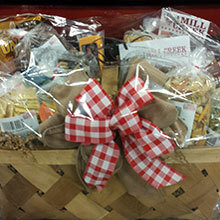 Now Offering Gift/Wedding Registry! 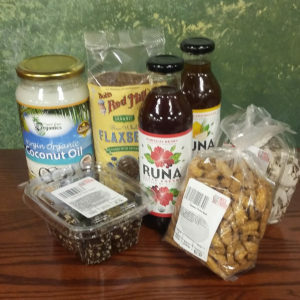 “Best Deli” & “Best Natural Foods” in 2018, “Best Sandwiches” in 2016, and “Best Health Food Store” & “Best Snack Food Store” in 2015 & 2014!! Our deli has become quite the rave of Mt. Airy! Our deli serves sandwiches, wraps, and salads prepared with Amish meats and cheeses and fresh local produce, the highest quality ingredients. Our Italian sandwich, the Shorty’s Mill, along with the Chicken Salad Croissant, the Mitchell’s Mill Club, and the Dellinger Mill Rueben are locally famous! All of our sandwiches are made-to-order, fresh! 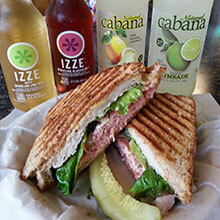 Enjoy your sandwich in our “free-to-dine-in” bistro area or take it to go! And don’t forget…our bistro furniture is for sale, too! We also offer delicious deli sandwich platters. Remember, quality does require time for preparation. To order ahead, just call 336-755-2340 and ask for the deli. See our FB page, or we’re happy to email you a deli menu if you don’t have one.